Anybody who saw his interview last week on The Weekly with Charlie Pickering could have picked up the hint, but The Bolt Report will launch on SKY News at 7pm on Monday, April 25. The former TEN show will air Live each weeknight from the SKY News Melbourne studios..
“This is the most exciting time to be on SKY News talking about politics,” the News Corp columnist said. “But there are many other things to talk about that other shows don’t dare discuss frankly. My aim for the show: to be the place where arguments aren’t shut down but tested. The Latest with Laura Jayes moves to 6pm from Monday. The Bolt Report is awesome ! Yes ‘awe’ – from the Old English word for ‘terror’ or ‘dread’, and possibly related to the Greek word for ‘pain’. Did you speed-read Dwuuu’s five word post, Tex? Dwuuu actually used the word “awesome”. 1. Extremely impressive or daunting; inspiring awe: the awesome power of the atomic bomb. The awesome majesty and power of these mountains is breathtaking and I look at them every day. One feels so helpless, so small in the face of such awesome power being so recklessly cast about. To take one’s own life or to terminate the life of another out of mercy is to exercise the most awesome power imaginable. I agree Dwuuu. 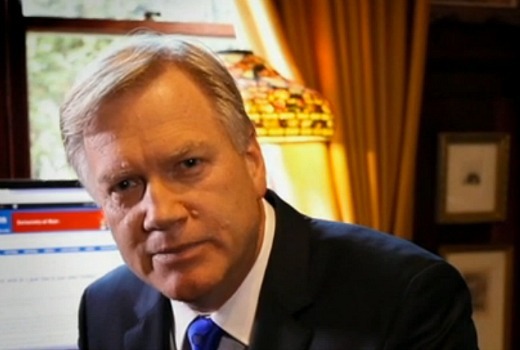 Andrew Bolt is totally awesome! Is there any room left in the right side of the inn at Sky News? It was already bursting at the seams. And yes your right Graham – Even though they have a small audience reach eg airport lounges they do have a lot of political power in Canberra. I don’t get Foxtel and never will. Bolt will just be preaching to his rightwing racist homophobic conservatives. There aren’t enough of them to re-elect the horrid govt we have right now. But sadly the Murdoch toilet papers and the new rightwing conservative CEO at the ABC will make sure the message is sent…and sent… and sent…..and ya da yada yada. Clearly Bolt tends to be a love/hate figure more than most, but what’s certain is he’s effectively traded airtime for viewing figures. I don’t recall many (or any) Sky News slots appearing in the STV top 20 chart for quite some time – Paul Murray Live used to occasionally crack 40/50k mark but I don’t believe that’s even happened for a while now. On the flip-side, it’s often claimed that Sky News’ relatively small ratings include a relative heavy % of ‘opinion formers’ – i.e. politicians and those involving in influencing the national debate. Disappointed, he’s no longer on Ten. However 5 hours a week, feels like a bit too much. So good. Not having that Fox pay thing I won’t even stumble across him by accident, hopefully. Tucked out of harm’s way, where I don’t have to think about him. I do find it somewhat ironic that the guy found in breach of the 18C racial discrimination clause is effectively replacing, of all people, Stan Grant in primetime. Will be interesting to see if he’s too polarising and just a little too much to be on 5 nights a week.